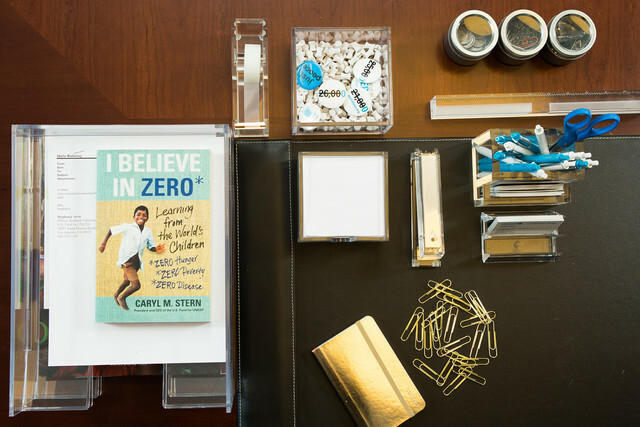 When she's not traveling the globe working to save and protect children in need, you can find the amazing Caryl M. Stern, President and CEO of the U.S. Fund for UNICEF, in her office at the organization's headquarters in lower Manhattan. 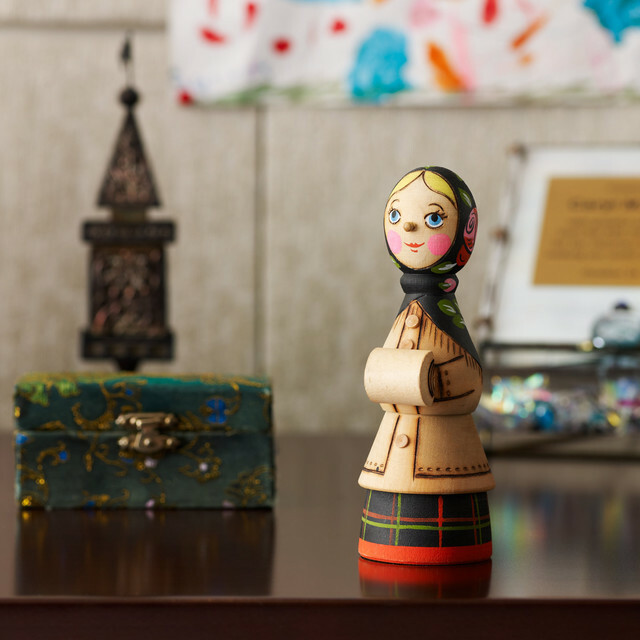 The décor is traditional yet cozy, with reminders of the special places she has visited where many little lives have been touched by UNICEF programs that provide food, water, shelter, health care, protection and much more. 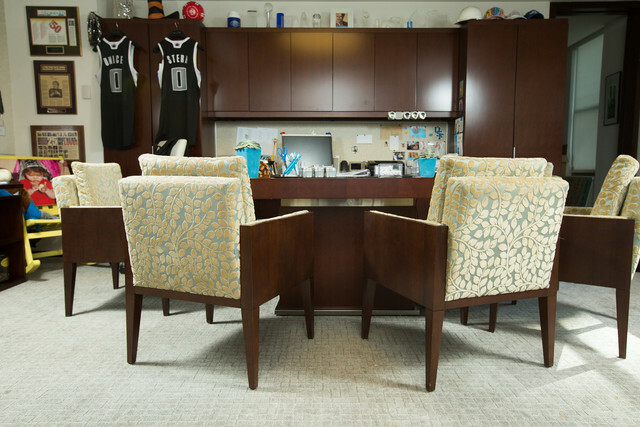 When she first moved into her office, Caryl started by selecting the fabric on the chairs, which have a beige velvet overlay with a turquoise and grey background. She loves the delicate design of the leaves, which contrasts with the heavy wooden furniture and brings a touch of femininity to the space. 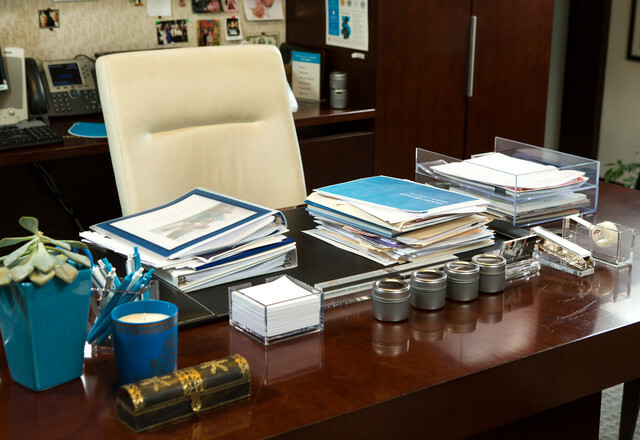 Caryl's desk often serves as a conference table, with many people gathered around for meetings and calls. A self-professed creature of habit, Caryl starts every morning with a stop at the same deli, where they know her and her order - two cups of tea with milk and Sweet & Low and a banana. Once she's settled in at her desk with her breakfast, she takes a serious look at her email, events that happened overnight and the priorities of the day. 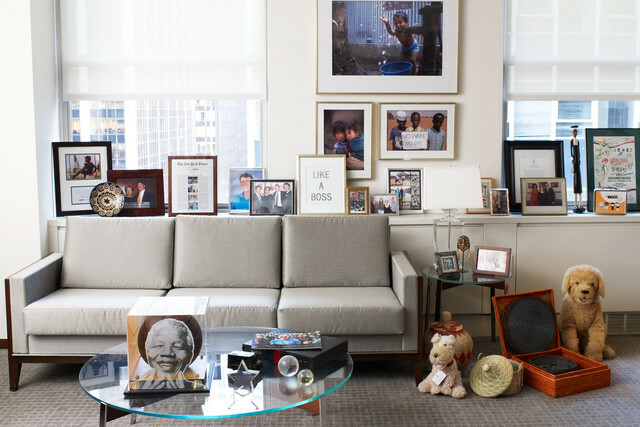 As one can imagine, a lot of important calls, media interviews and meetings with dignitaries, humanitarians and celebrities have taken place in Caryl's office. But the day that struck her most was the day the Haiti earthquake hit. 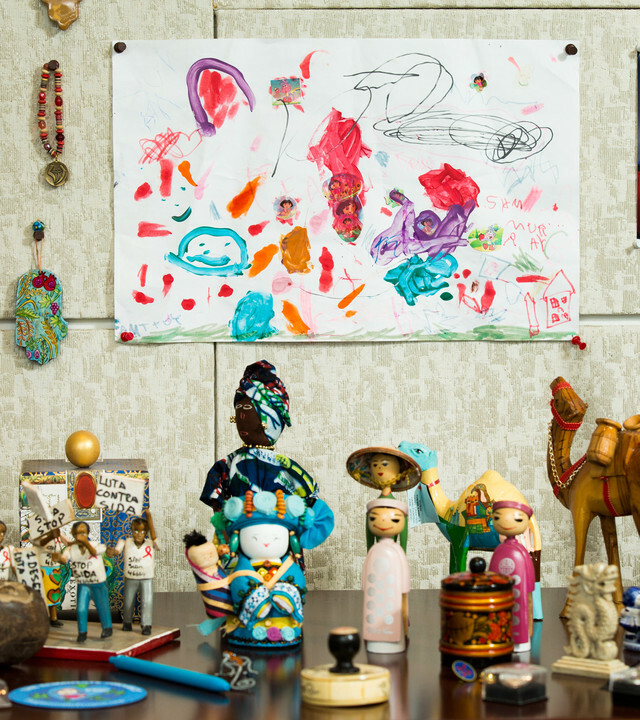 "Everyone sprung into action and it was the most important day in the office," she recalls. A briefing book with a detailed look at the next two to three days ahead of her - her "Bible" - is always close at hand. 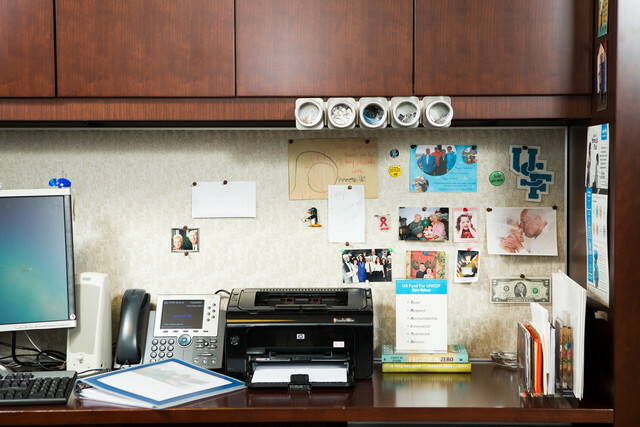 A "piler and a filer," Caryl usually keeps three distinct piles of documents to review on her desk - but she always tidies up and leaves a clean desk before she heads out of town. 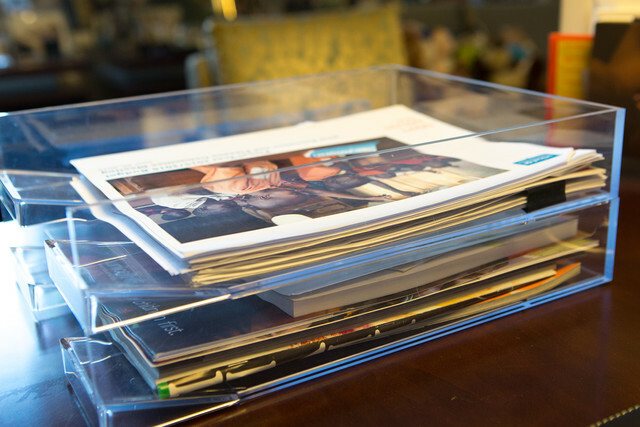 "It helps to alleviate stress and ensures that I don't have to panic about something I may have left on my desk or forgotten to read," says Caryl. 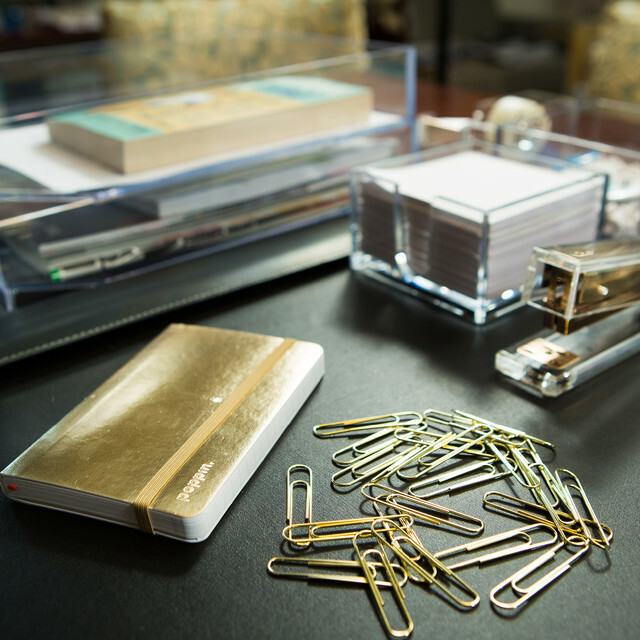 Our Clear Desktop Collection is used throughout the space, reflecting the clean and streamlined feel she wanted to have in her office. She chose some products featuring bright accents to lighten up the room. 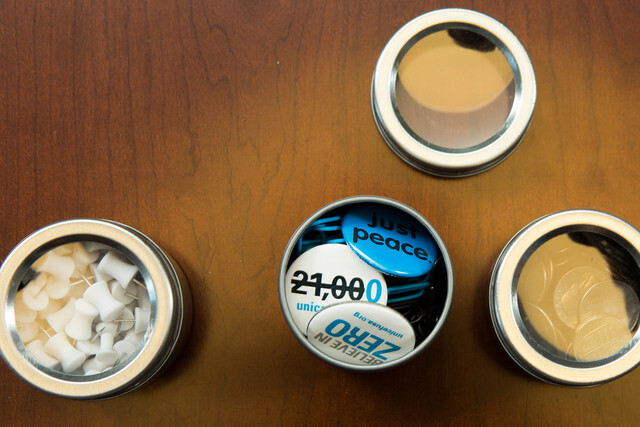 Caryl uses our Magnetic Spice Tins on her cabinet to store thumbtacks, paper clips, binder clips, loose change and various UNICEF pins. When she travels to the field for work, Caryl always brings back a souvenir of the country and the people she visited - either something she purchased or something she was given by one of the children or family members she met. She began this tradition in her previous position as the National Director of the Anti-Defamation League. 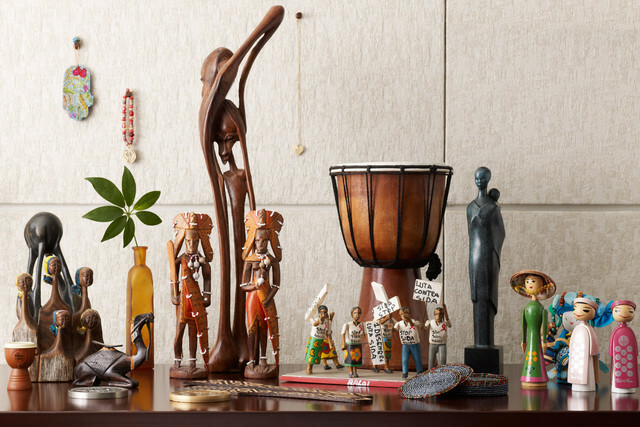 Among Caryl's favorite items to collect are wooden sculptures. 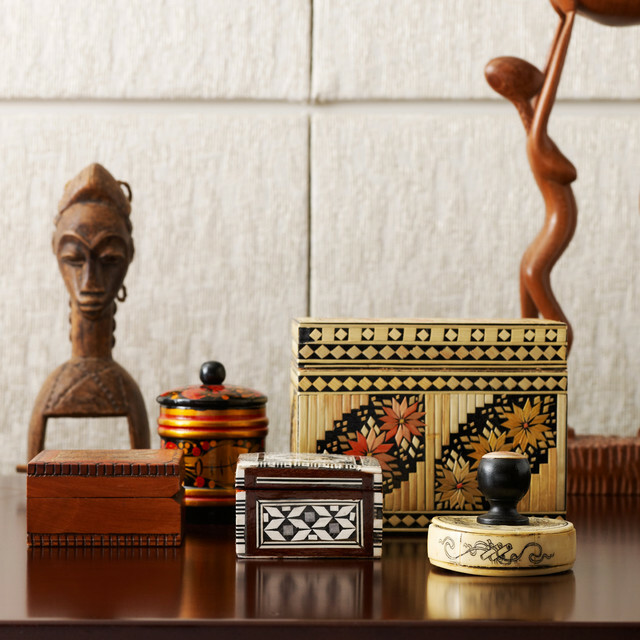 She has a bachelor's degree in Studio Art and is always awed by the magnificent artwork in her visits to Africa. 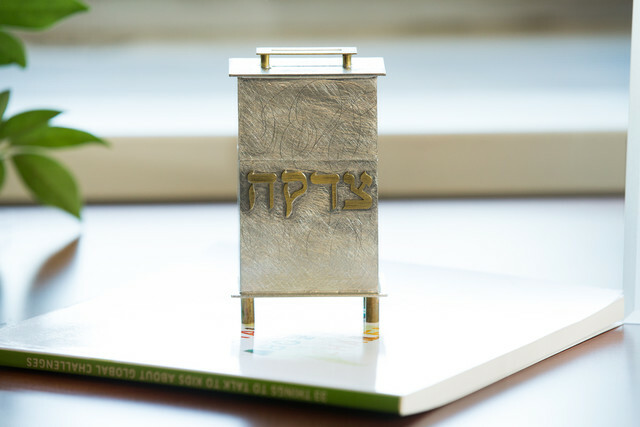 There are also Tzedakah charity boxes around her office. 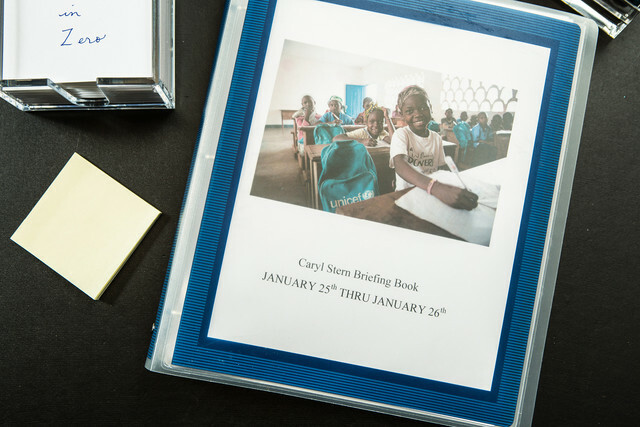 The traditional Jewish belief in charity and collecting money for that purpose was an important part of Caryl's upbringing, and it continues to influence her today in her fundraising efforts for UNICEF's lifesaving work. 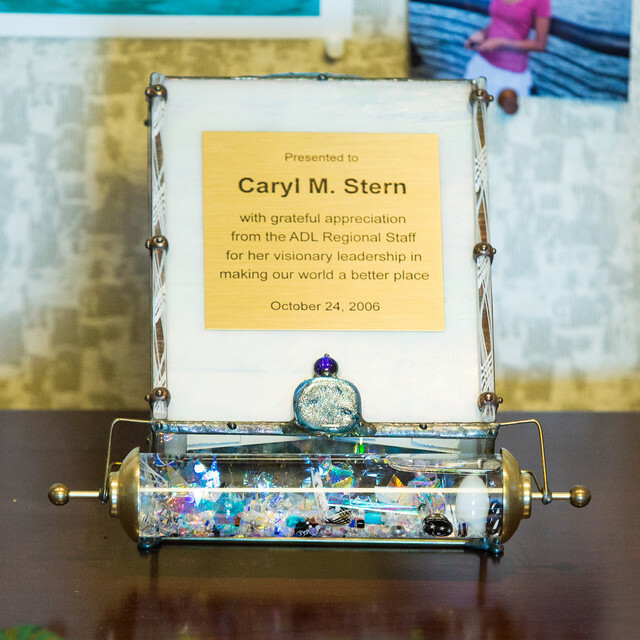 Another prized possession is a kaleidoscope she received from her colleagues at the Anti-Defamation League, which she keeps as a reminder to seek out the beauty and hope in the world. "It's important for me to remind people wherever I go that children are children - no matter where they are from in the world. Kids all love to play ball, learn, and make you laugh. Every day I think of the faces of the children I have seen struggling to survive. Their resilience and tenacity gives me hope for the future," she says. "Having the privilege to work at an organization that truly makes a difference in their lives fills me with a great sense of responsibility. There is always something you can do. You can be that one person who makes a difference - for children or for any other cause you strongly believe in. It is only through action that we can truly make an impact." To learn more about UNICEF or to contribute to its lifesaving work for children, visit unicefusa.org. Inspired by Caryl's office and story? Let us know why in the comments section below and you'll be automatically entered to win a $2,000 office makeover and your very own office story in our Be Inspired. Comment. WIN! contest.